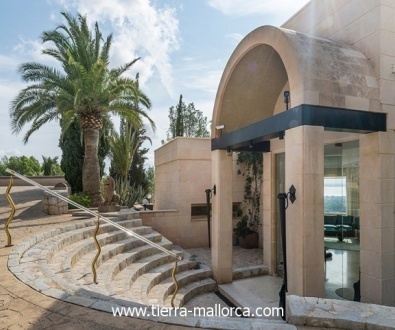 Son Vida is one location of the island's capital Palma, the village lies in the west and is one of the most sought after and most famous residential areas of Mallorca. Due to the 24-hour monitoring of the only access road a high level of security is provided. In 1957 the first house was built here and since the beginning countless other houses and villas surrounded by gardens and lush green spaces built. 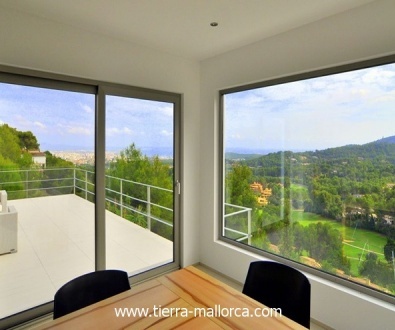 The calm, the greenery and the panorama of the bay of Palma make this place an ideal and elegant second home in a beautiful location. Although Son Vida is located on a hill, there are only a few minutes drive to the airport and the old town of Palma. Golf lovers find very near the golf course of the same name, but other, slightly further away, golf courses, which are no less beautiful. The year-round mild climate is another plus point for this urbanization. In this place there are two high-level, 5 star hotels who also stand with their wide range of exclusive living in Son Vida.